Brazil is promoting the teaching of Portuguese language and culture in the Middle East. The Brazil-Lebanon Cultural Centre, opened in late April in Beirut, went into operation today. The first Portuguese class already has 100 students enrolled. 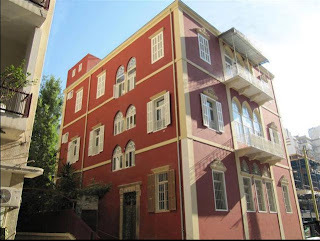 The institute is linked to the Brazilian embassy in Lebanon and is the first of its type in the region. According to the Ministry of Foreign Relations of Brazil, the intent is to make it a centre of teacher training and the development of instructional materials for teaching Portuguese to people in the Middle East. The Centre will also take care of applications for the CELPE BRAS Portuguese language test. The Centre will work in the neighborhood of Achrafieh in Beirut, in a building of traditional Lebanese 19th-century architecture that the Brazilian government has leased.